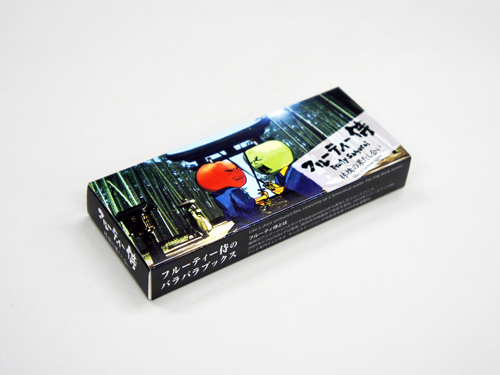 Seigensha Art Publishing continue their series of highly creative flip books, by spirited artists and animators, with this pair of 'Fruity Samurai' titles from acclaimed Japanese studio HappyProject. 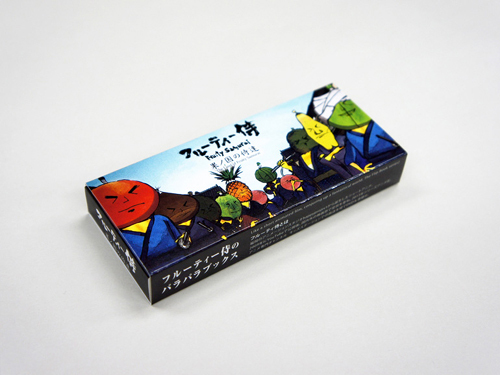 Based on two of the award winning episodes of 'Fruity Samurai,' flipping through these small books encapsulate the fresh and fun Jidaigeki adventures of Tomato, Apple, Pineapple, Durian... and a lineup of other comically individualistic samurai characters! "Fruity Samurai is the ultimate title bestowed on those who have trained to the limit to perfect the techniques of swordsmanship and who posses the noble spirit of the samurai. Tomato, Apple, Pineapple, Durian…a lineup of comically individualistic characters. Again tonight, duels are played out as these fruit head samurai match swords against each other. Here are novel and surreal samurai period sword-fight comedies that are great fun. Don’t miss this unique samurai world!"